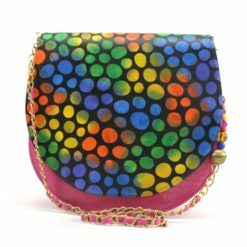 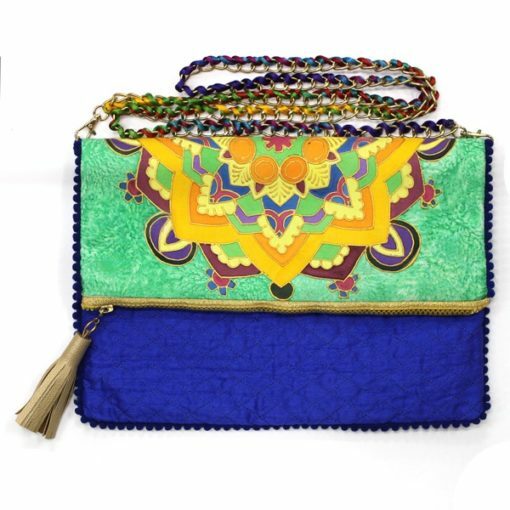 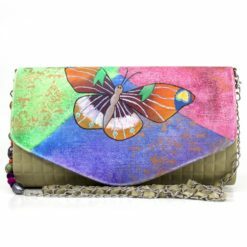 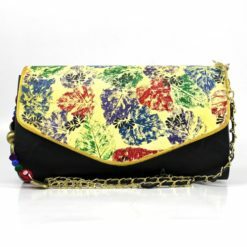 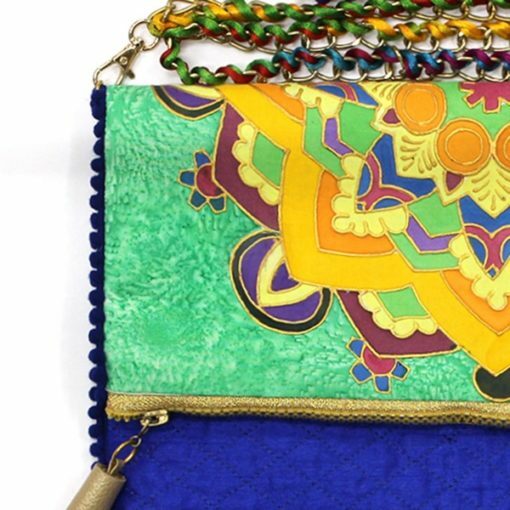 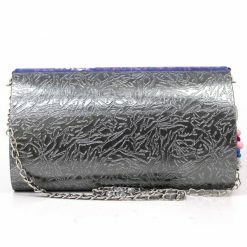 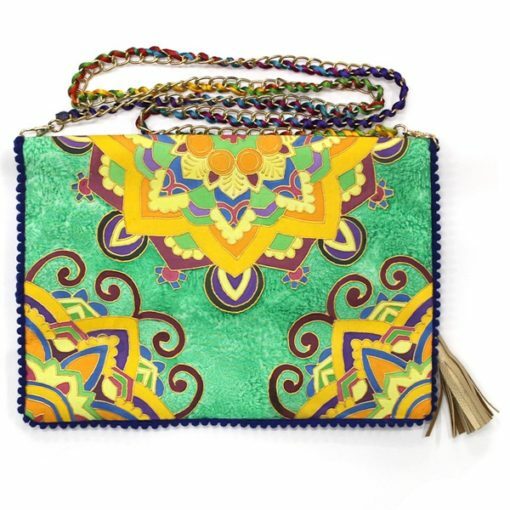 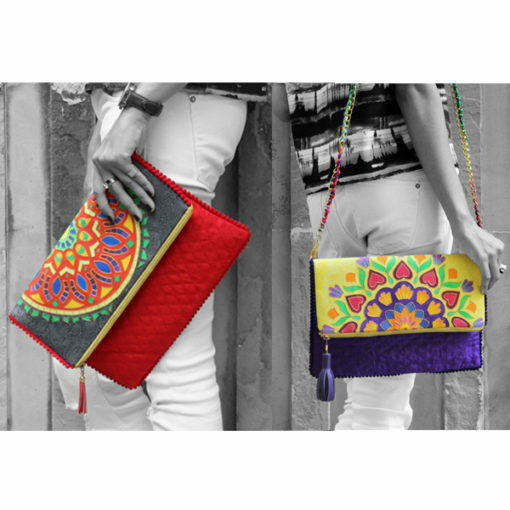 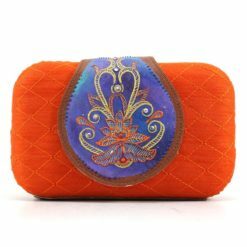 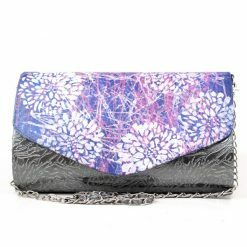 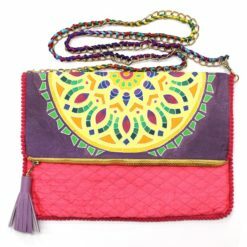 A fold-over clutch bag created with bold and vibrant hues of silk painting in a mandala design. 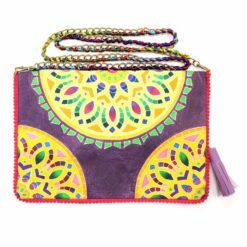 Pompom trimmings, tassels and a colourful woven chain give it a quirky touch. 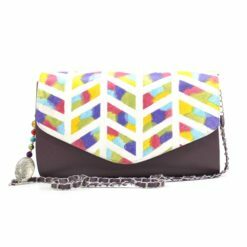 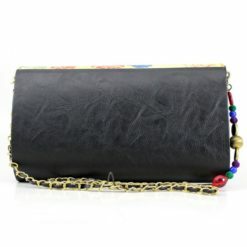 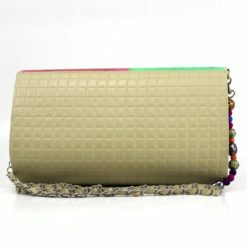 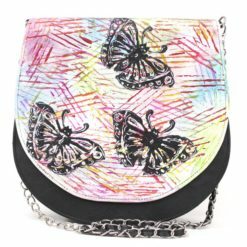 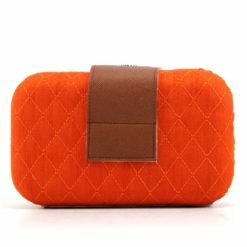 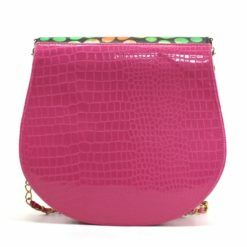 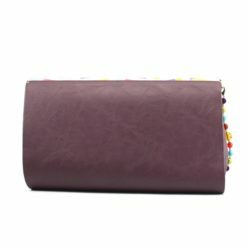 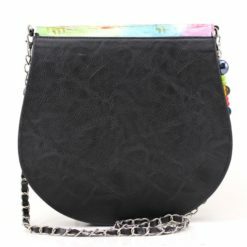 This is a versatile accessory which can be used as a sling bag for a casual look or as an over-sized clutch to make a style-statement.